“Good soup is one of the prime ingredients of good living. For soup can do more to lift the spirits and stimulate the appetite than any other one dish.” Louis P. De Gouy, ‘The Soup Book’ (1949). Winter has arrived and there is no better way to freshen up the day than with a heartwarming bowl of homemade soup. This soup has immune boosting properties because mushrooms contain vitamin B2 and B3, I used a mix of mushrooms including Shiitake Mushrooms and they contain vitamin C. Garlic will also boost the vitamin C properties of this homemade soup as well as adding vitamin B6, Manganese and Selenium. I used my own batch of Stock which I prepared a few weeks ago and have stored it in glass jars in the freezer. I sourced the bones locally, from The Organic Emporium. Homemade Stock is oozing with nutrients and bursting with flavour. I would suggest you give it a whirl; however, a stock cube can be used as an alternative. To make the stock I used: 1kg Kalahari Beef Stock Bones, 2-3 Carrots, 3 Garlic Cloves, 1 Onion, 2 Leeks, a Bouquet Garni, Salt and Pepper. Pop them in a large saucepan or slow cooker, cover with cold filtered water and cook on low heat for 8-12 hours. You will need to strain out the bones and vegetables. Allow to cool. A thick layer of fat will form on top, remove this. Separate liquid into containers and freeze or consume in soups, stews, braise vegetable, sauces or gravies. For more information visit Nourished Kitchen. “Bone broths are extraordinarily rich in nutrients – particularly minerals and amino acids. 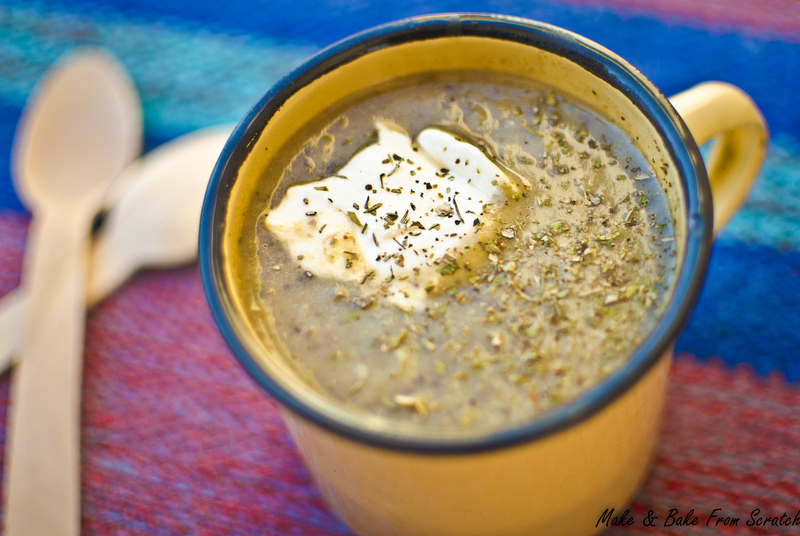 Bone broths are a good source of amino acids – particularly arginine, glycine and proline. Glycine supports the bodies’ detoxification process and is used in the synthesis of hemoglobin, bile salts and other naturally occurring chemicals within the body. Glycine also supports digestion and the secretion of gastric acids. Proline, especially when paired with vitamin C, supports good skin health. Bone broths are also rich in gelatin which improves collagen status, thus supporting skin health. Gelatin also supports digestive health which is why it plays a critical role in the GAPS diet. And, lastly, if you’ve ever wondering why chicken soup is good for a cold, there’s science behind that, too. Chicken stock inhibits neutrophil migration; that is, it helps mitigate the side effects of colds, flus and upper respiratory infections”. In a large saucepan add a tablespoon of extra virgin coconut oil or olive oil, add onion, sauté. When onion is soft add grated garlic, chopped mushrooms, courgettes, salt and pepper. Allow to soften. Pour in coconut milk and stock to thin the soup. Allow to simmer for 10-15 minutes. Next allow to cool before pouring into the blender. Blitz the soup until the texture is creamy. If you like chunky soup there is no need to blitz it. Pour back into the saucepan and gently heat before serving. I added a ½ teaspoon of smooth cottage cheese and sprinkled dried (non irradiated) mixed herbs on top.